Go birdwatching with a Birdingpal from Iowa. I live next door to Ledges State Park and know that park well. Some of the local specialties are Pileated Woodpecker (year-round), Long-Eared Owl (winter), Bobolinks, Harris' Sparrows, and a wide variety of warblers in migration. Nesting Yellow-Throated and Kentucky Warbler. I can give advice, directions, and possibly take people to birding sites here in S.E. Iowa on the Mississippi River and in several state forests(Shimeck) and state parks (Lacey-Keosauqua). I am a member of the Iowa-Bird list-serve and would know what birds are being seen at different seasons. Pine Lake State park is 20 miles away. There is an old railroad that has been made into a bike/walking trail that has many of the local birds. I am retired and a novice birder. I am about 20 miles from a natural area set aside for Greater Prairie Chickens. They can be easily seen in the spring. My wife and I are retired and are amateur birders. We maintain a trail of about 28 bluebird nest boxes at a local golf course. This is birding up close and personal as we open the boxes to monitor them. 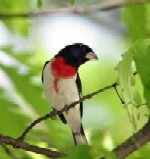 We see most of the common Midwestern songbirds in our area, plus many hawks and occasional eagles near the rivers. We also see games birds such as pheasant, wild turkey and quail. Obsessed birder since 2004. Love wildlife, the outdoors, and photography. Traveled all over Iowa with current goal of trying to record at least 100 species in all 99 counties. Iowa list of 359. I also have interest in very nearby South Dakota and Nebraska. As you may have guessed I am a hard-core birder so we can go at any pace you like. Slow and easy or check-em off and move on. Have an all wheel drive vehicle and would ask for gas money only if we use my vehicle. Overnights negotiable if we need a hotel someplace. Area: Woodbury, Plymouth, Monona counties primarily. Stone State Park, Broken Kettle Graslands, Sioux City Prairie, Bacon Creek, Brown's Lake, Snyder's Bend, Owego Wetlands plus numerous unnamed local areas. I am also willing to travel several counties in one day if that is what is desired. Note: Areas would include grasslands, wetlands, lakes, and woods. Attend: State birding organization Spring and Fall meetings around the United States and attend church regularly. 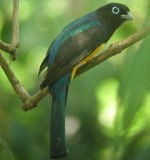 We can visit several places, depending on what type of bird is available at the time. We go down to Onawa Iowa quite often also.